These essays, written over a third of a century during a time of huge ideological, technological and methodological upheaval, witness British architecture's unceasing negotation with a vast and rigorous set of constraints and its eventual emergence as a truly modern profession - a special interest group responsive and answerable to social changes but shaped and informed by values and principles that may be on a longer cycle and perhaps a loftier plane. The backdrop to this debate is the term of presidency of the RIBA held by Francis Duffy, Chairman of DEGW, UK, between 1993 and 1995. During this period the architectural profession faced major challenges and threats. The book looks at the relationship between the architectural profession and the built environment in the context of the great political and social cycles in the British post-war period. 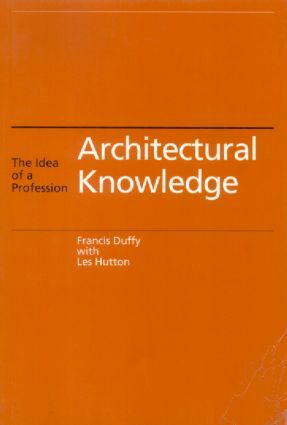 Francis Duffy's writings provide additional insights and viewpoints to the subject.